Root Canal Therapy – Root canal therapy is a procedure that is performed on a tooth that has become badly decayed, has fractured or has become infected. Often times when there is infection of the pulp (nerve tissue), a patient will experience severe pain and/or sometimes swelling. A root canal is performed in efforts to alleviate any pain, remove any infection and save a tooth for many years to come. During a root canal the nerve tissue is removed and the inside of the nerve canals are cleaned and sealed off. 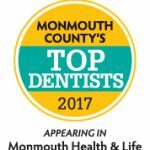 In the past, root canals have been associated with pain but with current technologies and techniques root canal therapy can be performed in one visit without any discomfort. 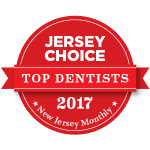 Most root canal therapies can be performed by Dr. Christopher Armento and Dr. Lisa Indelicato in the office eliminating the need to be referred to an endodontist , and without the fees associated with seeing a specialist. If you are in need of root canal therapy please don’t hesitate to call the office as we always make time to see emergencies so that we can take people out of pain.